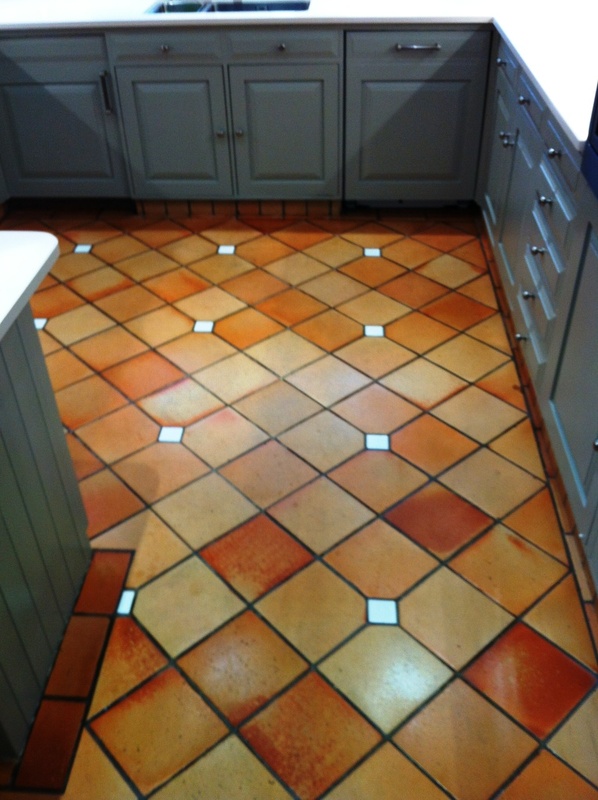 This Terracotta tiled floor was in the kitchen of a house in Didsbury near Manchester. 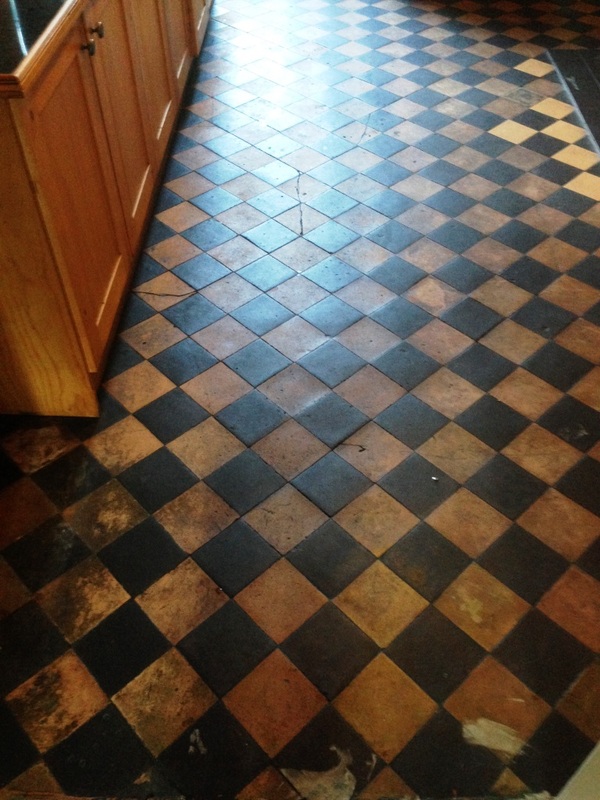 The tiles had never been sealed before and so had become ingrained with dirt making them very difficult to clean. 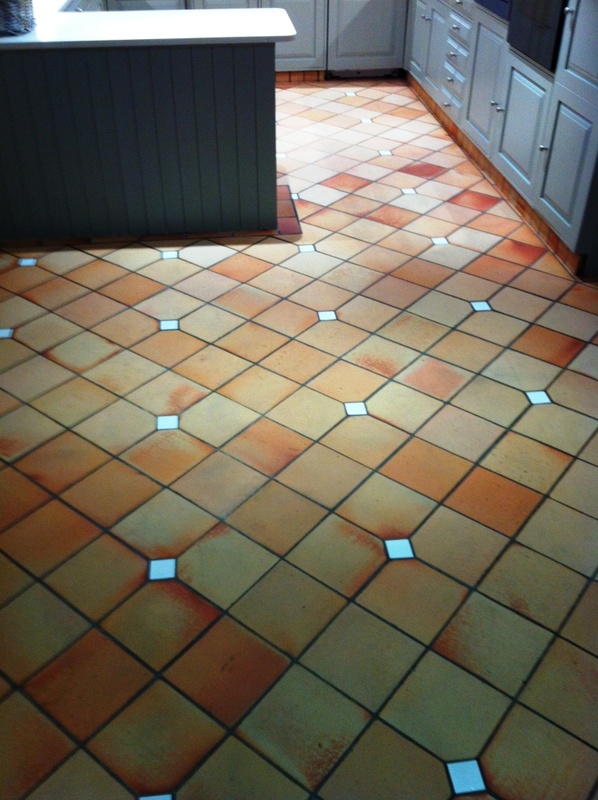 To get the Terracotta tiles clean I soaked tiles in a dilution of Tile Doctor Pro-Clean and left it to dwell for ten minutes. Then using a large 17inch black scrubbing pad fitted to a rotary machine and a stiff grout brush proceeded to work the cleaning solution into the tile and grout. 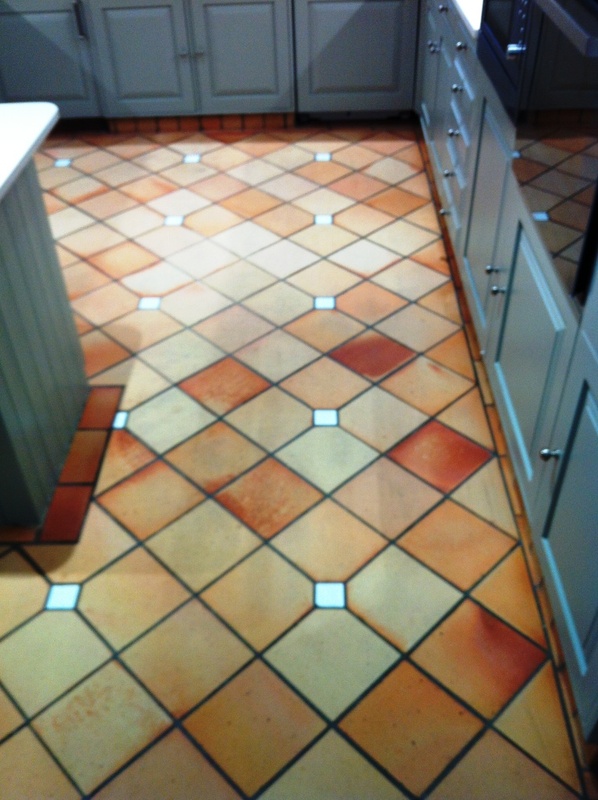 This process soon turned the cleaning solution dark with the dirt that had been released from the tile and this was removed using a wet vacuum. 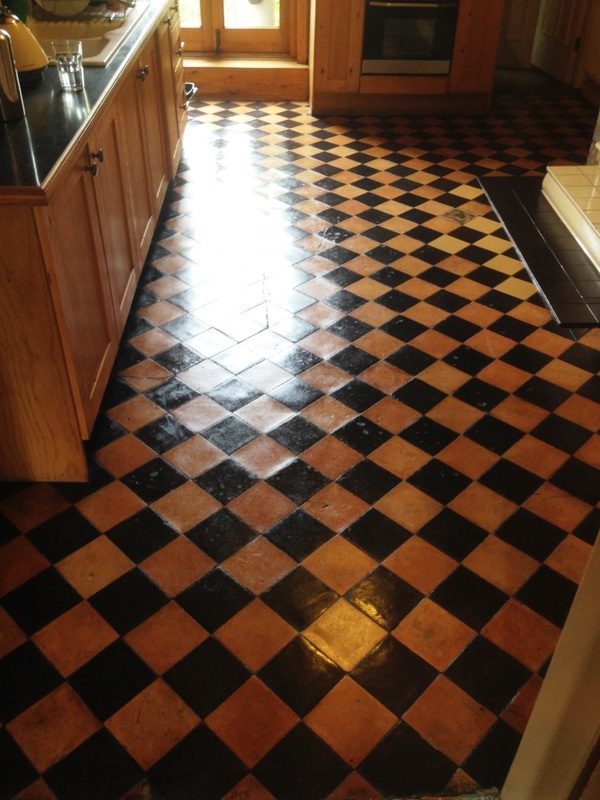 The floor rinsed down with water and stubborn areas retreated, finally once happy with the condition of the floor the tiles were thoroughly rinsed to remove any trace of cleaning product prior to sealing and the floor left to dry overnight. I returned the next day to seal the floor testing it first with a damp meter to make sure it had dried. I then started to seal the tiles using Tile Doctor Seal and Go which is a water based sealer so it doesn’t leave any smell as it dries. 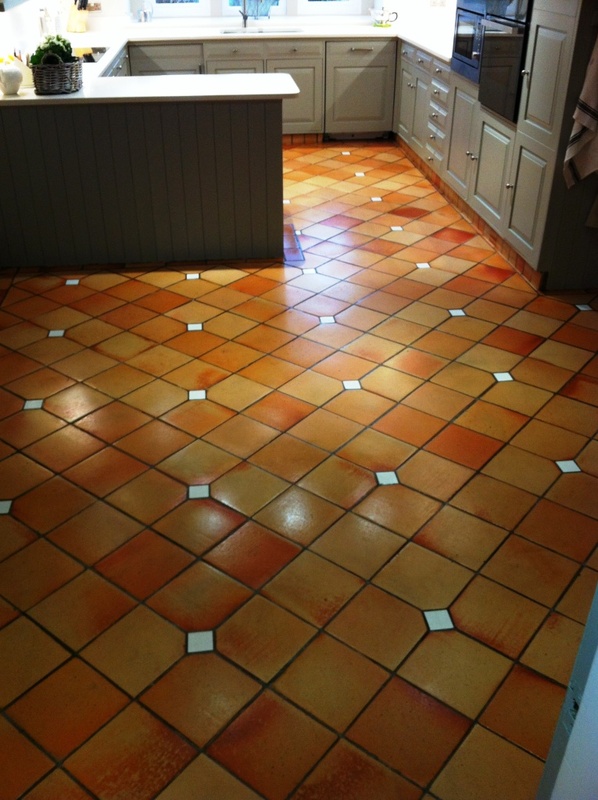 Terracotta is a very porous clay based material and so the floor took seven coats of sealer to do the job, this is not unusual and I’ve known some Terracotta to need even more coats of sealer.